Earning points and miles on purchases is the easiest part of rewards travel, earning the highest possible points and miles on our everyday spend, however, is a different story. We can earn rewards for staying at a hotel or taking a flight, paying for dinner and a taxi home with a rewards credit card, or we can earn rewards in bulk when receiving signup bonuses from new credit cards. Transforming our interest in points and miles from a mere hobby into rewards mastery requires we dig deeper, and learn strategies that offer increased returns on every dollar we spend. The first time a friend mentioned double-dipping when offering me some pointers on rewards, it brought to mind childhood memories of swiping a second helping of ketchup on my half-eaten french fry when my parents had dropped their guard. But when raised in relation to rewards points, double-dipping on points and miles via online shopping portals is one of many strategies that can help us in our quest for rewards travel success. Using online shopping portals can help raise rewards earning rates from the base 1 or 2 points per dollar spent on rewards earning cards, supercharging the number of points or miles earned. The double dip is the added cash back, points, or miles we receive from using the shopping portal. What Exactly Is an Online Shopping Portal? Online shopping portals (OSP’s) are referral websites that offer incentives when you use their referral links. By clicking through to the online merchant you intend making a purchase from using a link on the OSP’s website, they make a small commission. How does a third-party website offer cash back or rewards when you’re still purchasing direct from the vendor's website? The OSP's have agreements in place with each retailer they direct traffic to. When we click on the link in the OSP redirecting us to the online retailer and then make a purchase, the OSP receives a small commission on the sale. The cash back, points, or miles we receive is either a portion, or in some cases the total sum, of the commission received by the OSP from the retailer. OSP's offer several different ways to double dip on rewards and which one we use depends on our individual travel goals. Focusing on a transferable currency like Ultimate Rewards, you can shop in the Ultimate Rewards shopping portal and earn bonus Ultimate Rewards points. It’s important to note that the bonus points are in addition to any points you would typically earn on your credit card, hence the double dip. It’s also an excellent method to help meet minimum spending requirements on cards like the new Ink Business Preferred℠ Credit Card, essentially bagging points three ways. 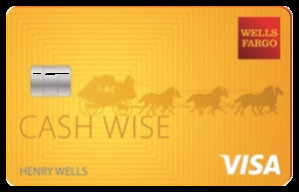 If for example, you hold the Alaska Airlines Visa Signature® Credit Card and shop through Mileage Plan Shopping, renewing your anti-virus subscription through AVG would net an additional 9 bonus miles per dollar spent. With the 1 mile/$1 received for everyday spend on the credit card, that's 10 Alaska miles per dollar. We look for a minimum redemption value of roughly 1.6¢/mile for Alaska miles which gives you approximately 16¢ back on every dollar spent. Most shopping portals also run regular promotions for additional spend. Alaska recently gave members the opportunity to earn 3,000 bonus points for $1,500 total spend over roughly two weeks. That would make it a triple dip! By shifting some of your household spending between different rewards-earning credit cards and shopping portals, and taking advantage of regular promotions within loyalty programs, you can earn 2X, 3X, and higher rewards. The aim here isn’t to go haring off on radical spending sprees dropping cash on big purchases. It’s to change your everyday spending behavior to maximize the rate of return on the money you would be spending in any case. You can earn bonus points on purchases ranging from new Apple products to WeightWatchers.com and everything in-between by utilizing shopping portals, and all it takes is a small shift in behavior. When you start nailing the process down it can milk points from every stage of the purchase. That's rewards 4 ways from one transaction! Most major airline frequent flyer and hotel rewards programs have an OSP that allows you to earn additional rewards on top of your regular points. If you are focused on a particular program and already employ a co-branded credit card, you could potentially be earning extra points with every purchase you make. The only bank rewards program with an online shopping portal worth writing home about happens to be the most valuable, Chase Ultimate Rewards. 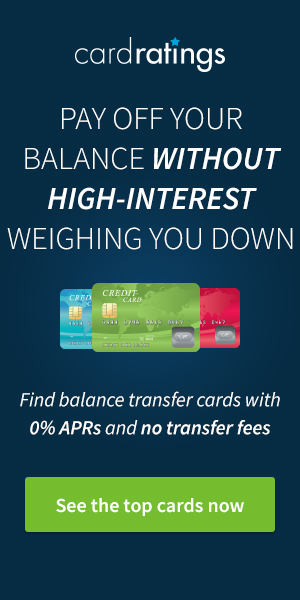 The portal at UltimateRewards.com offers fantastic bonus offers that often tie in with the bonus categories on the Chase Sapphire Preferred® Card and Ink Business Preferred℠ Credit Card and allows you to earn substantial bonus UR points. However, with so many OSP’s out on the web, it can be difficult to know which site to use for specific purposes. Thankfully, there are some smart folks already well on top of these things that have developed aggregators to sift through the deals and deliver the best bonus points. Mastering the art of ‘maximum return on spend' in the points and miles game can take time, effort, and not a small amount of know-how. But the rewards are free travel experiences, cash back on everyday purchases, and the satisfaction of claiming a win when you get it right. 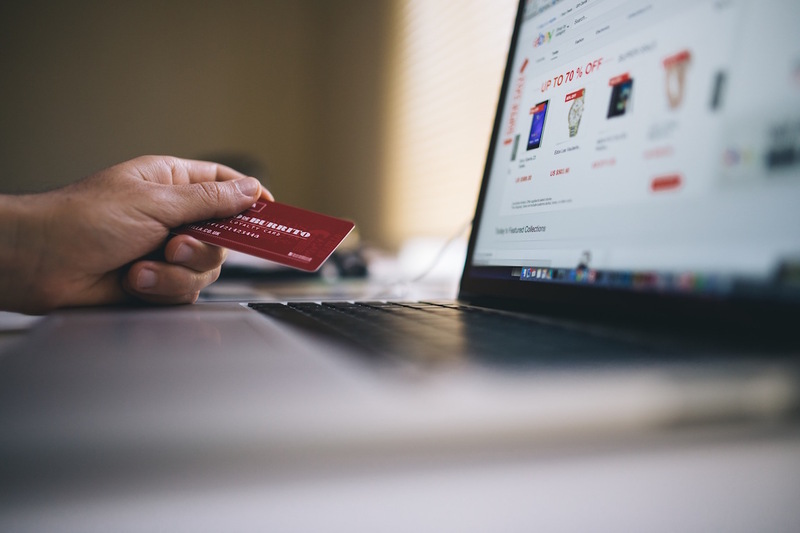 Utilizing online shopping portals to maximize rewards is an essential component of becoming a rewards master and is something all loyalty members should focus on if they want to start earning big rewards without changing the amount of money they spend each month. This is a case of small changes in behavior bringing big rewards! Have a unique hack to maximize points through online shopping portals? Share it in the comments. I love online portals! Discovering them a bunch of years ago changed my life because I do so much of my shopping online. I really don’t like the United portal though because they always seem to have lower payouts. Since I got Chase Reserve I’ve also been using the Ultimate Rewards portal which is decent but made better by the value of UR points. Can anyone suggest some specific steps for success with this? I always feel like I’m paying a higher price to shop through these kinds of portals than the extra points are really worth. This is a great thing to think about. It’s a shame you can’t combine a cash back portal like Ebates with the same cookie used by a credit card “internal portal” such as Shop Discover. Or can you??? There is MileagePlus X, an app from United you can buy instant e-gift cards from. Some portals are more reliable than others, particularly when the purchase does not post automatically. So sometimes a lower payout is worth the risk of getting nothing from portals that are less consumer friendly. For example, Ebates is more helpful than Topcash back, which has refused credit for large hotel purchases for flimsy reasons. I always check CashBackMonitor.com before making any purchases and if its not something I need immediately then I usually buy it from there. 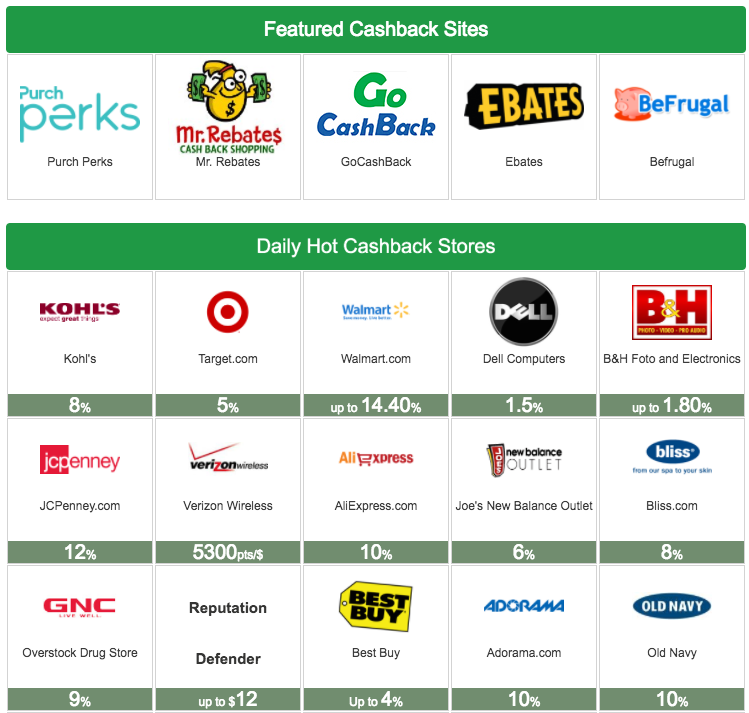 ebates now offer cashback on in store purchases when using visa or amex . check this out . Ahh very cool. I wasn’t aware of this aspect of OSPs. I use them strictly online, but can’t wait to explore this! I keep forgetting to use cashback websites for my online purchases. Thanks for the post, it was a good reminder for me! The UK version of Topcashback allows you to convert the cashback into British Airways avios points. They have more partners than the BA Executive Club shopping portal and generally the rate is higher. Portals are a great resource, wish Amex still had theirs! The Sapphire is my dream card but with my credit at just under 700 I don’t stand a chance of getting it just yet. anyone else have issues with shopping walmart through the portal. in the past 2-3 years, every time i’ve tried to use a portal to buy on walmart.com, the order goes through, and then within an hour or so I get an order canellation notice because my “payment information could not be verified.” If it’s something i really need, I pay with the exact same credit card info–it works no problem. but, other than walmart, these portals are awe-some! Been doing this for a while, the cashback accumulates pretty fast when double dipping. Going to give one of these a try, seems like a good idea! Thanks for the reminder. I’ve been meaning to look into how these aggregation portal sites work for awhile now. You can also possibly buy gift cards for a store at a discounted price using your credit card points. Wow, I didn’t know you can double-dip. I always thought using a cashback portal would void the airline’s portal. This is great! 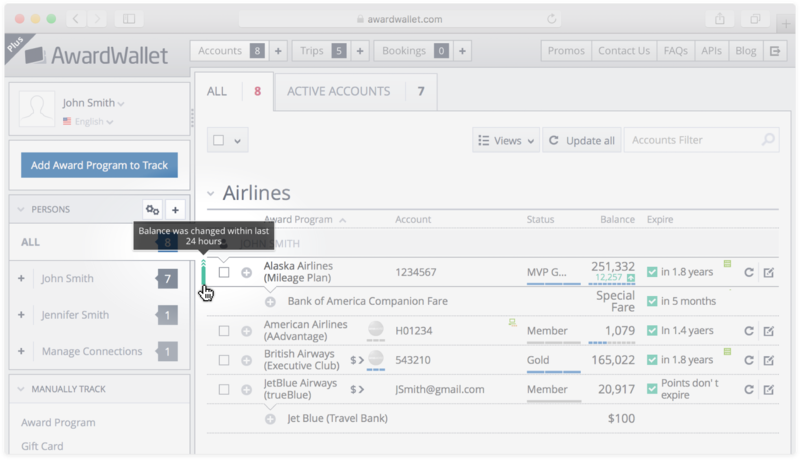 You can only use one portal per purchase — so there isn’t a double dip of cash back portal + airline portal — just one. I’ve gotten screwed on portals before due to using ad blockers so they couldn’t track my activity. Keep that in mind! Any thoughts on how these sites compare to perksatwork for corporate discounts? I’m not familiar with perksatwork — I’d do a comparison between the two on perhaps some popular merchants, but I’d venture these online shopping portals are as good if not better. I will use this for my xmas shipping. I have to remember to shop online through the shopping portals rather than going straight to the store’s website. And it does seem to take several weeks for the points to post. So, I have to keep remembering to change eco my account to make sure all of my points post. Clear explanation. I need to apply it to earn more miles and points! After reading this, I went ahead and used the Alaska Airlines online portal. So happy to find this article. It just increased my points at a time when I was planning on shopping online for Christmas gifts. Yahoo!! Miss those days when you could buy Amex gift cards thru portals and get anywhere from 2 to 4% cashback. Then turn around and use the Amex gift cards to purchase Visa gift cards online. Although you can’t double dip through two sites at once, couldn’t you double dip by using your credit card to buy a gift card (getting points for purchase) and then use the gift card to pay for an online purchase through a site like ebates (getting points for purchase)? As long as the portal site pays, yes, you could.